If you were wondering what you could do with the adorable Tutu Trim from Webster's Pages now available at Paper Patch Crafts, I have a nifty idea for you. Why not make a flower? Finish off with a cute embellishment in the center. Kind of fun! 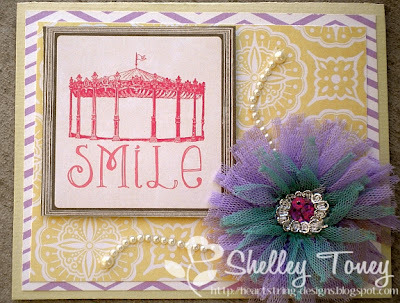 You can buy a vast assortment of colors of this fun trim at Paper Patch Crafts! Just follow the link to Webster's Pages. Super cute! You could do the same thing and put it on a headband easily. Great idea.